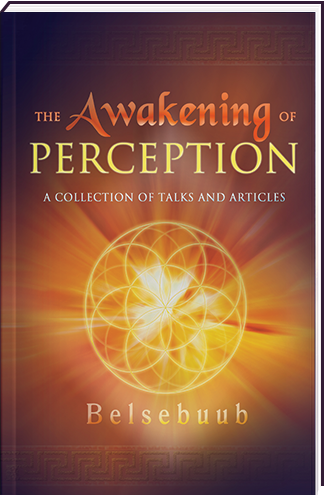 The Awakening of Perception brings together over 40 articles by Belsebuub, shedding light on some of today’s most intriguing spiritual topics including: out-of-body experiences, the supernatural influence behind world events, whether there is a global awakening happening today, near-death experiences, dreams, ancient spiritual knowledge, the awakening of consciousness, sacred sexuality, self-knowledge, the process of enlightenment, what’s crucial to world change and much more. This book was downloaded over 11,000 times as a free eBook between 2012 and 2016, but was taken offline as it was being too plagiarized. Mark Pritchard (writing with the name Belsebuub) is the author of a number of books on out-of-body experiences, dreams, self-knowledge, and esoteric wisdom including A Course in Astral Travel and Dreams which became a bestseller in its genre. His book Gazing into the Eternal was finalist in the Best Book Awards 2009 in spirituality, and he has appeared on over 60 radio and television programs internationally. He writes from over decades of esoteric exploration and experience. We believe spirituality is not something you can price tag, and that it should be passed onto others just as freely as it’s received. We work in the ancient and time-honored way of running on what people give voluntarily in donations alone. In line with this principle, we used to give all our books away as free eBooks – The Awakening of Perception was downloaded over 11,000 times. However, they were so extensively plagiarized that we’ve had to provide them as paperback books instead. We continue not to receive any payments from their sale, which helps keep their price as close to cost as possible. Find out more. People have shared the firsthand experiences they’ve had with many of the topics covered in The Awakening of Perception. To read accounts of out-of-body experiences from practicing Belsebuub’s work see the Out-of-Body website, for accounts to do with dreaming see the My Dream Guidance website, for accounts to do with inner change see the Self-Discovery Life website, and for mystical experiences see the Spiritual Journeys website. Will this book be printed again in future? Hi Andrea, This book will be available again in the future under a different title, and with more talks and articles added. I don’t have a time frame for it yet at the moment, but if you like you can be added to a mailing list to be notified when it’s available again. Just let me know if you would like that. I am wondering if this book will ever be released again? Or is it permanently unavailable? I got this book last week and keep reading its articles, one at a time… So interesting and insightful, it really encourages me to do my best in this spiritual work, despite all challenges of living in our society that lacks spiritual understanding. Reading things online or on kindle is nice and saves trees, but holding a real book in my hands makes it easier to me to understand its profound message! Thanks, we’re looking into what we can do with electronic books and may release some of the books in a more protected eBook format. I think you have summarised the situation very well Lucia and Geraldine. It’s a real pity that when people live in accordance with spiritual principles, this is so often seen as a sign of weakness, which can be exploited. The scale of this problem is prolific, but those who plagiarise this work for profit or personal gain not only cheat the original authors, but they also cheat other spiritual seekers and themselves, as they divert themselves and others from having the opportunity to take up the real work. Those who deceive others in this way ultimately lose, as there is no way someone can meet the requirements to move forward spiritually by acting like that. It is wonderful that despite the lack of ethics of so many people, that Mark and Lara and their publishers are still working hard to deliver the teachings without profit or personal gain. I have personally benefitted a lot from this principle, as when I found these teachings through attending courses in a study centre, I was able to participate regularly over a two-year period, despite having financial difficulties. There is no way I could have continued if the courses were part of a profit-making organisation. But then again, maybe I would have felt less drawn to learn spiritual teachings from a money-making organisation anyway, particularly from the kind of groups that charge extortionate amounts to access their secret teachings. I think that spiritual principles speak for themselves and the “open to all” ethic that I found in these teachings goes a long way. I was going to also write something very similar to Lucia – it is definitely not about naivete but it comes from a very basic spiritual principle. The link she gave is actually really good if you have not read it yet, it goes in more details and it explains and lays out things very straight-forward. Mark first started with writing and handing out PDFs years and years ago, but people started back then to also plagiarism them, and changing the content or only giving partial information – so the content of the message was changed. For protection, the PDFs became books, that were published at cost. With the eBooks, sadly the same thing happened, and history repeated itself. The message is being changed, used to make profit or/and get fame by some people. And consequently the eBooks now have to be printed instead. People’s lack of ethics, integrity are the source of the problem. The problem is definitely not on the end of the authors, or their publisher Mystical Life Publications which now publishes the books at the lowest cost possible so that people can afford them, and they are doing a very good and fine job at that by the way, volunteering their time, effort to make this happen. (And Mark btw, has never ever been paid for his books). But it sad to see that the lack of ethics and integrity in people plagiarizing Mark’s books, ebooks, and work is costing people everywhere not being able to download the eBooks anymore. It is easy to see in this manner, how a simple action can have far reaching consequences for the entire world.. Thank you for this clarification. I don’t think we truly understand the scope of this problem. It is a shame that Mark’s work has been so maligned and disrespected. I believe what you say is very true: there is a total lack of ethics and integrity in today’s world. Sadly the books cannot be downloaded anymore. This is because people were taking the material from them and posting it as their own in other places. Here is a full explanation of the reasons why the e-books were taken down. Also, this website on its own has a lot of material available, check out the articles section for example. This book is an incredible compilation of articles and talks from this website. I’ve often found myself reading the same article more than once and each time I do, I gain a completely different, more insightful understanding of the message it conveys. It’s one of the most comprehensive and sensible “life” guides I’ve ever come across, helping me to better understand myself and others from a spiritual point of view that’s both practical and effective. “Many don’t know how to appreciate what they have or lack the understanding to learn from life’s difficulties and lessons – always thinking of the time things will work out, while ignoring the present moment and not valuing action or opposition. Many see the satisfaction of pleasure and desire as the fulfilment of a happy life, without realizing that everything passes, the moments of life are fleeting, and at the life’s end they have no more than they did at its beginning. Those with understanding use life for the benefit of the spirit and create and acquire what lasts beyond the body and the physical world”. That’s an amazing quote indeed! Thanks for sharing that Patricia and I agree about the wealth of useful spiritual information present in this book. I agree Patricia, that’s an amazing quote from the book, thanks it’s a nice reminder to start the day.